BSB Sky chose sky.com, the British Broadcasting Company chose bbc.com and the Cable News Network chose cnn.com for their respective domain names. These choices are easy to understand and are what we would expect to type into our browsers to reach any of those sites. But it’s highly unlikely that any small business has front of mind awareness that comes anywhere near these globally recognized names. At the other end of the scale we have small business startups taking very tentative first steps online. Very few of their potential customers will recognize their company name and unless it includes words that describe the purpose of business like architect or engineering nobody will know what they do either. So should keywords become part of their domain name? Other companies are undoubtedly going to target those keywords and there is nothing I can do to stop them. Similarly if you chose a keyword domain name like newyorklawyers.com you will have to fight off everyone trying to rank for New York Lawyers just to rank for your own domain name. Using Keywords in your domain name does give you an advantage as far as SEO is concerned, that said, search engines consider many other things that carry more importance than the page URL. Amazon is one brand that needs no explanation. It is fully understood what they do just from their name. When customers think about purchasing a book online, amazon.com is probably the first site they will think about and visit, such is the power of the Amazon brand. The name itself has no connection to books yet there are very few people don’t know what amazon.com does. Your business is already a brand, whether you treat it as one or not. Existing and potential customers already have a perception of what your business does and what that means to them. Building a brand means communicating your message more effectively to more people so anyone who has a requirement for the products or services you provide immediately associates their needs with your business. A strong Brand provides reassurance to customers and encourages repeat sales and long term loyalty. Back to the Amazon example, Amazon rank organically for literally thousands of keywords they also use a technique called ‘keyword insertion’ to bid on thousands of others through Pay Per Click advertising, yet anytime I go to the site I type the domain in the URL bar or if I am particularly lazy I just type ‘Amazon’ into the Google toolbar. I am pretty sure I am not alone in that. What’s Works Best - Brandable or Generic Domain Names? There are reasons to consider both, depending on the nature of your business. It makes absolute sense for affiliate marketers to use generic domain names especially if you can get your hands on a real category killer. However, for any businesses planning on sticking around for the long term a brandable domain often make more sense. If you decide to go the rout of a generic keyword based domain, don’t overdo it. Stuffing a bunch of keywords into one domain might gain the attention of search engines, but for entirely the wrong reasons. In a Google patent it has been indicated that a keyword stuffed domain may be a signal of a low quality site. Also Google could devalue the slight advantage given to keyword domains in the future and cause rankings to tumble. It is a well accepted fact that brand awareness increases the trust visitors will place in your website and your marketing messages which is in turn an important underlying principle of making more sales. Not only do branded domain names lend authority to your business they tend to be more memorable. Short easy to spell domains are best for this. Also,The challenge of taking a business from a complete unknown to an industry leading brand is the dream of every marketer. Whichever way you choose to go, branded or generic, I wish you every success. 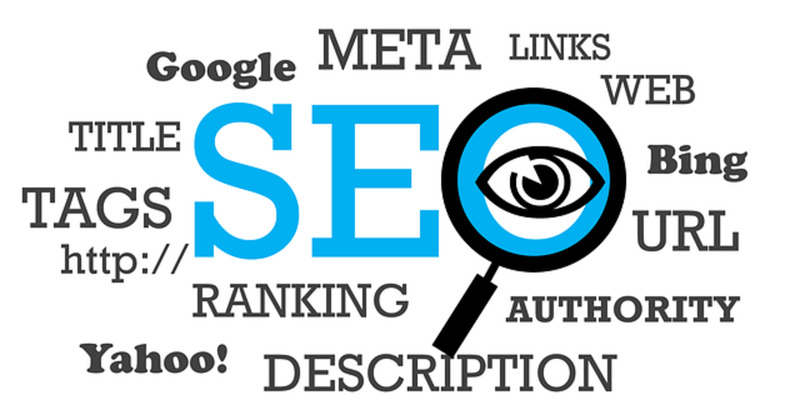 As a professional SEO I also provide Small Business SEO Services if you would prefer to work with an experienced SEO Company. Internet Marketing Scotland: Promoting business online with professionalism and integrity.